Up the chic factor and wear this printed Flair dress 19094 for your social occasion. This dramatic gown showcases an off the shoulder neckline with a mesh inset and a high low a line skirt. 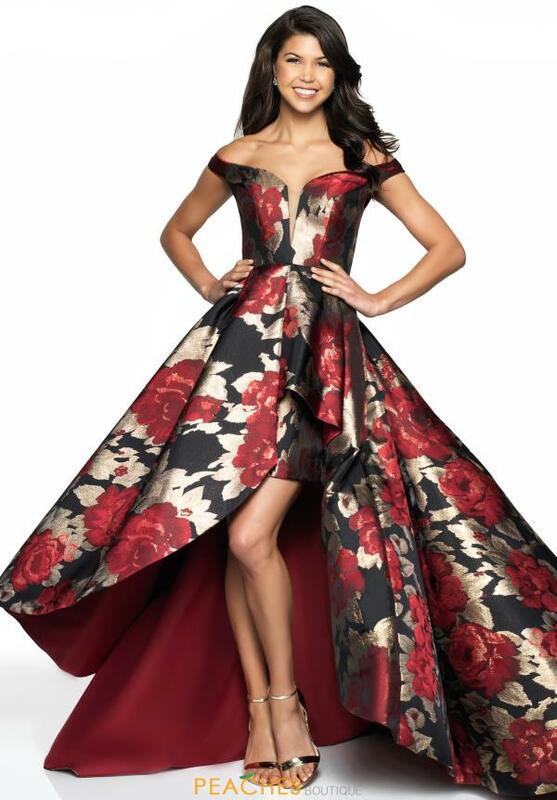 A stunning floral print is embedded into the entire gown for the perfect amount of detailing. 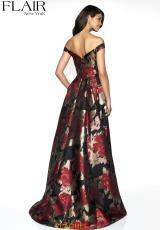 The back of this gown features a dramatic sweep train that completes this look. For more styles visit Peaches Boutique in Chicago.